The Public Commissioner was present today at the Appeal Chamber, while continued the review of the appeal filed by this Institution against the Decision no. 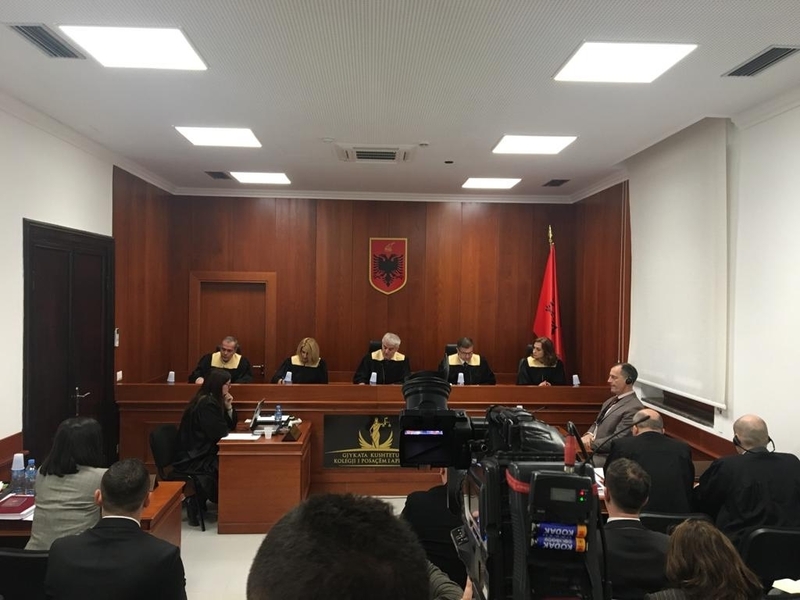 42/2018, of the Independent Qualification Commission, for the subject of re-evaluation Mrs. Antoneta Sevdari, prosecutor, at the Prosecutor’s Office of the First Instance Court, Tiranë, and currently a member of the High Prosecutorial Council. The Public Commissioner in the elements of the case presented to the Adjudication Panel the grounds of appeal of the decision of the Independent Qualification Commission, which in the assessment of the Public Commissioner was not conducted a comprehensive investigation, thereof to establish the confirmation in duty of the subject of re-evaluation. The Public Commissioner draws attention to the re-opening of the investigation and listed for each ground of the appeal, the necessary documents to be administered by the Appeal Chamber. In her submissiones, the subject of re-evaluation, Mrs. Antoneta Sevdari, claimed that the decision of the Independent Qualification Commission has been issued in conclusion of a comprehensive investigation. During the defense, the subject of re-evaluation presented some new evidences which has not previously been administered by the Independent Qualification Commission, likewise opposed the allegations raised against 10(ten) denunciations by the public, related to the criterion of proficiency assessment. The Adjudication Panel of the Appeal Chamber after announcing that, another denounce is deposited by this institution, shall adjourn the hearing session on February 19, 2019, in order to provide to the Public Commissioner and the subject of re-evaluation to become acquainted with the deposited documents.